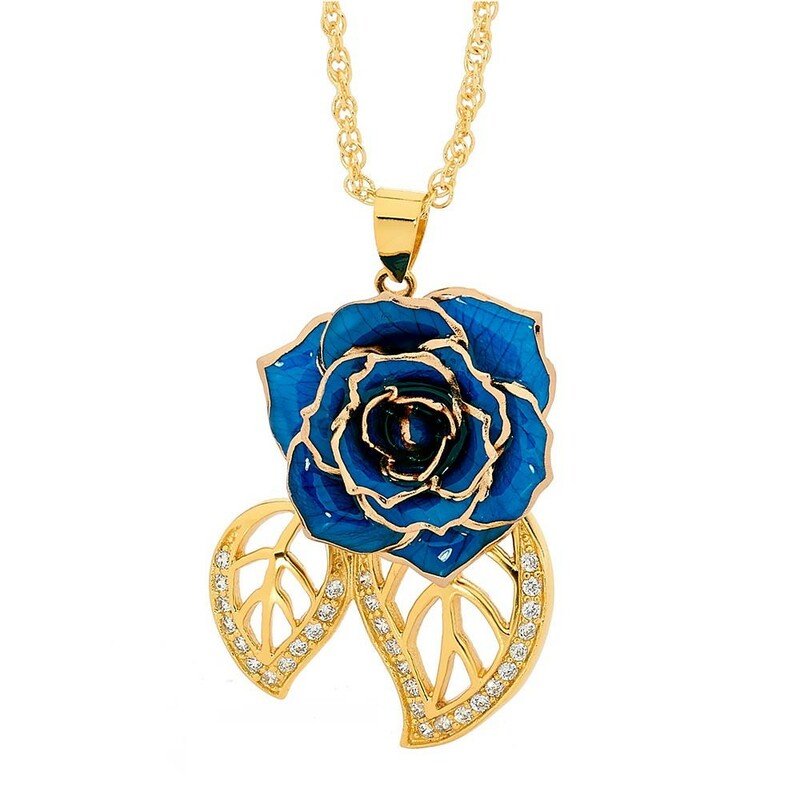 An attractive 24K gold-trimmed pendant, handcrafted using real blue miniature rose petals. 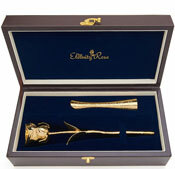 Incorporates 30 radiant synthetic diamonds and featured in a classic leaf design. Supplied in a sleek velvet pouch, decorated with gold-trim and braided drawstring. 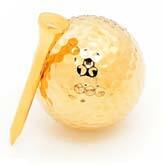 A lifetime guarantee protects the sophisticated detailing. 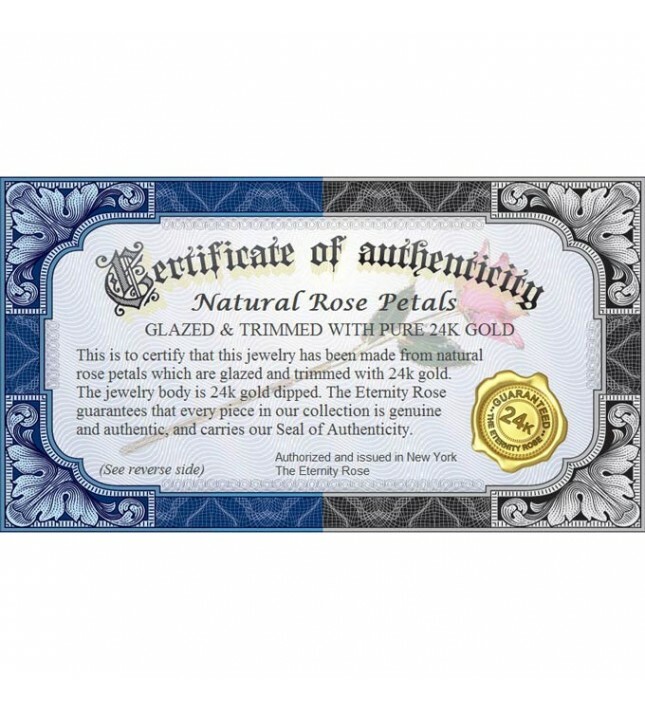 An authenticity certificate comes with every pendant. 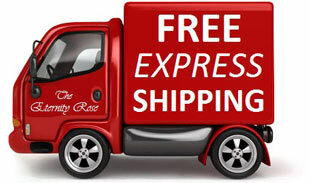 Orders are processed promptly and express delivery is applied free of charge. 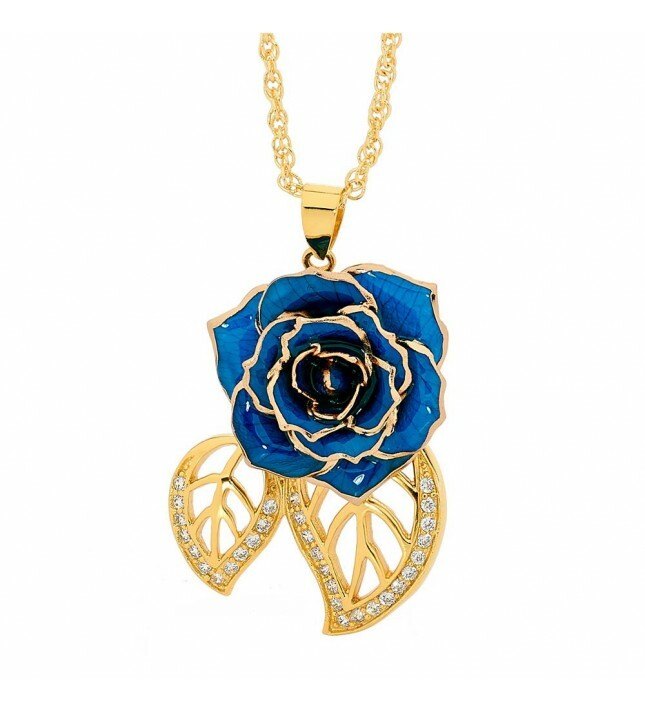 This pendant's appealing design features genuine blue miniature rose petals, intricately glazed and trimmed with 24K gold. 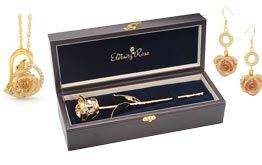 A matching gold-dipped multi-link chain is supplied alongside, and every pendant's miniature rose-head measures 0.91” in diameter. 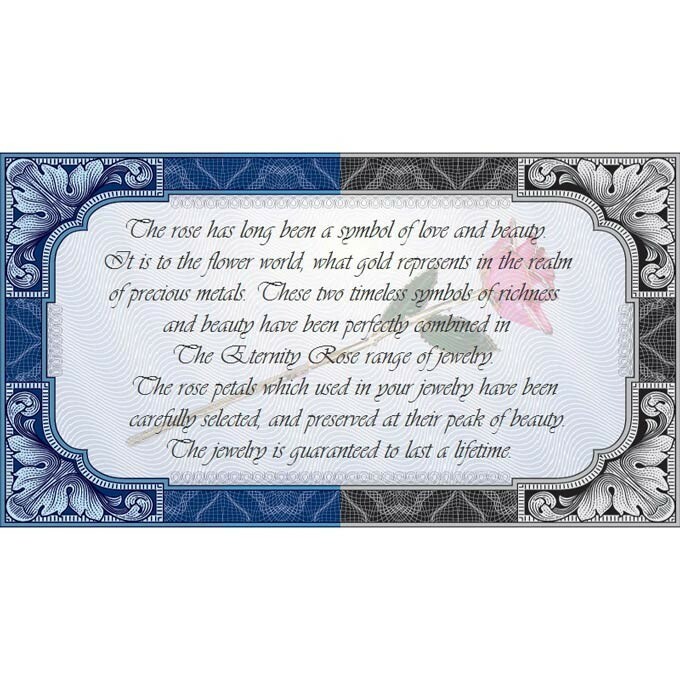 The pendant features two stylish 24-karat gold-dipped leaf figurines and is encrusted with 30 radiant synthetic diamonds giving a luxurious appearance. 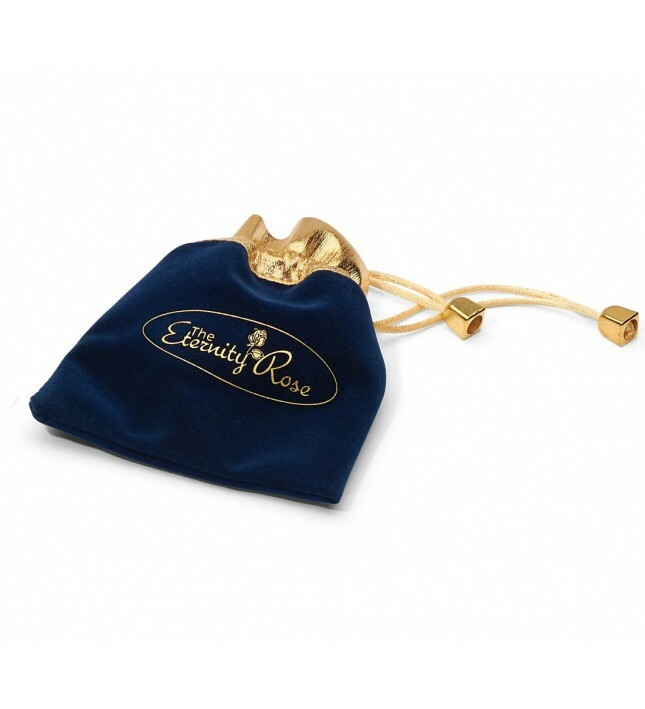 A layer of 24K gold finishes this pendant beautifully, which is supplied with a stylish velvet pouch decorated with gold-colored braided drawstrings to ensure safe storage of the pendant. 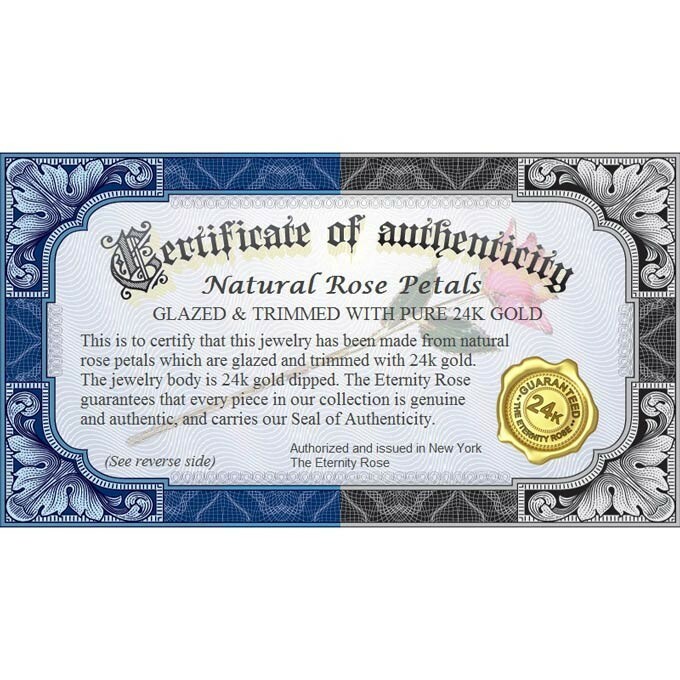 A gorgeous art piece, each pendant is produced during a 3 month process, coating the real rose petals with a glaze and then trimming them with opulent 24K gold. The 60-step process is undertaken by talented craftsmen by hand, ensuring every piece of jewelry is both unique and flawless. 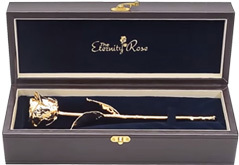 Part of The Eternity Rose's award winning product range, this superb jewelry item has been tested by rigorous quality control procedures and comes with a lifetime warranty. 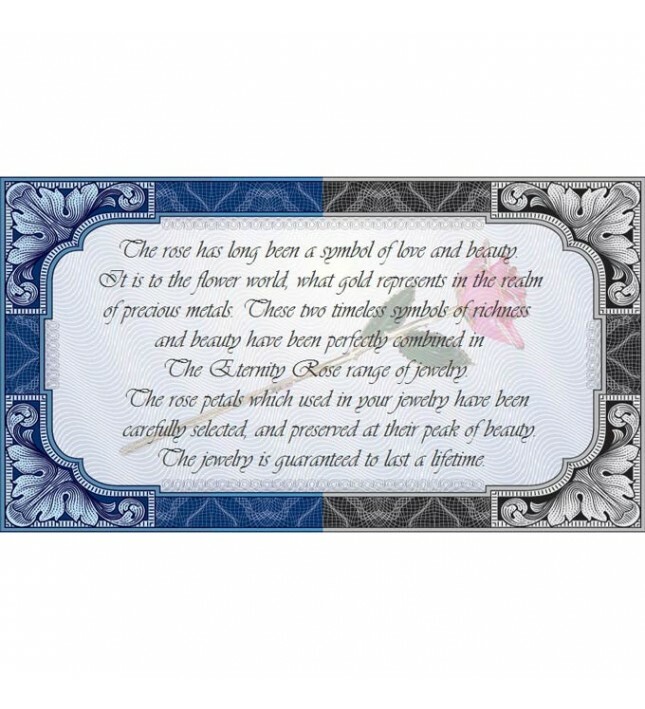 Having received awards for quality and design, this pendant is sure to be greatly appreciated by any recipient with a love for fine jewelry and the splendor of natural roses. 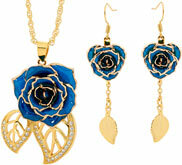 Also available is a pair of matching leaf-design earrings.